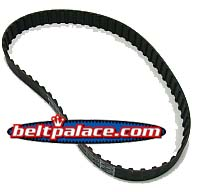 Home > Timing Belts MXL-XL-L-H... > H Section Timing belts. 1/2" Pitch Trapezoidal Tooth Gear Belts. 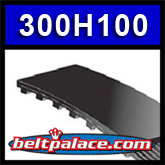 > 300H100 Timing Belt - 1 inch Wide, 1/2 inch pitch, 60 Teeth. - 1 inch Wide, 1/2 inch pitch, 60 Teeth. 300H100 SYNCHRONOUS DRIVE "H" GEAR BELT - 1 inch Wide, 1/2 inch pitch, 60 Teeth.